HMS New Zealand was one of three Indefatigable-class battlecruisers built for the defence of the British Empire. 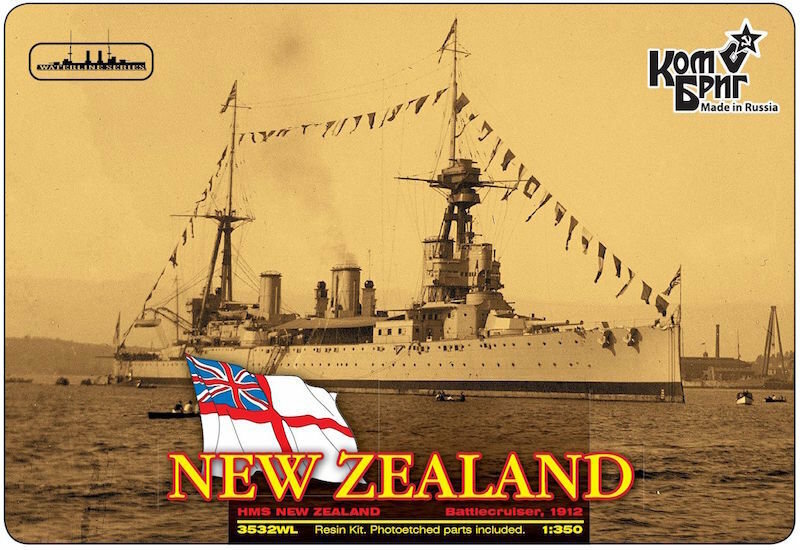 Launched in 1911, the ship was funded by the government of New Zealand as a gift to Britain, and she was commissioned into the Royal Navy in 1912. She had been intended for the China Station, but was released by the New Zealand government at the request of the Admiralty for service in British waters. During 1913, New Zealand was sent on a ten-month tour of the British Dominions, with an emphasis on a visit to her namesake nation. She was back in British waters at the start of World War I, and operated as part of the Royal Navy's Grand Fleet, in opposition to the German High Seas Fleet. During the war, the battlecruiser participated in all three of the major North Sea battles of World War I — Heligoland Bight, Dogger Bank, and Jutland—and was involved in the response to the inconclusive Raid on Scarborough, and the Second Battle of Heligoland Bight. New Zealand contributed to the destruction of two cruisers during her wartime service, but was hit by enemy fire only once and sustained no casualties; her status as a "lucky ship" was attributed by the crew to a Maori piupiu (warrior's skirt) and tiki (pendant) worn by the captain during battle. After the war, New Zealand was sent on a second world tour, this time to allow Admiral John Jellicoe to review the naval defences of the Dominions. In 1920, the battlecruiser was placed in reserve. She was broken up for scrap in 1922 in compliance with Britain's tonnage limit in the disarmament provisions of the Washington Naval Treaty.